Tom McMahon: Keep It Fair! Keep It Fair! Keep It Fair! Keep It Fair! 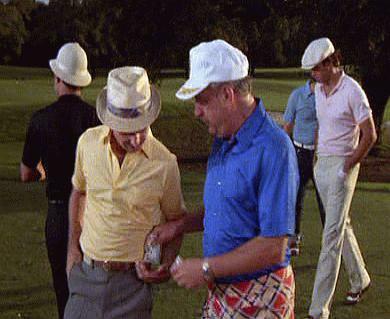 One of the great little scenes in Caddyshack is where Rodney Dangerfield gives match referee Brian Doyle-Murray some cash to, in his words, "Keep It Fair!". I was reminded of this scene in 2000 when Al Gore appointed Mayor Daley's kid to "make sure every vote was counted" in Florida. Just keepin' it fair, ya know . . .
A classic. Repeat it every two years during national elections.